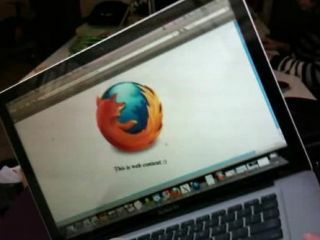 The next major version of Firefox could be able to tell which way your laptop is facing, with an API released from Mozilla for Firefox 3.6. The browser will be able to tap into an accelerometer, not an every day find on most laptops just yet, but present in some – and then build functionality on top of that. The most obvious use for this would be to enable the kind of cool maps and augmented reality apps that have been cropping up on phones such as the iPhone, but through the browser. But web developers could also use the API to build some even cooler functionality, including games and web pages that align themselves to the ground rather than the screen. There's also a video, to show off the functionality, but it's fairly clear that accelerometers in laptops may well be a key new feature to look out for.